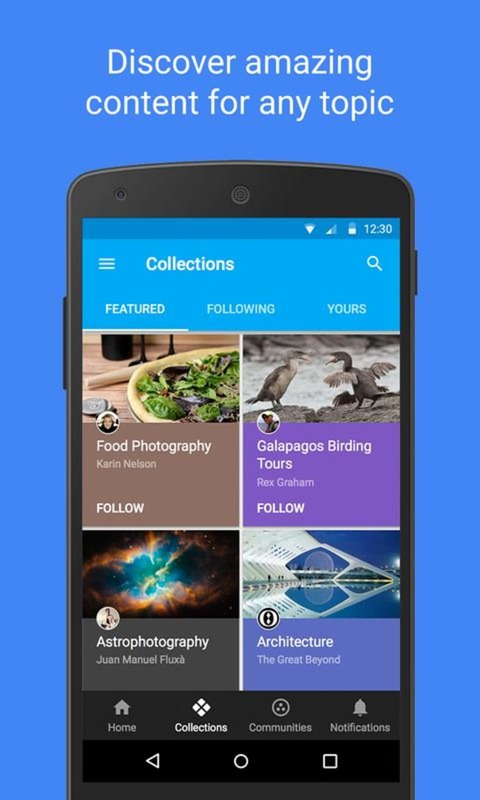 Google+ is an app for Android smartphones that lets you access your Google+ account on the go from your phone. Google+ hasn't been much of a hit with its web version but this revamped mobile version might just make it useful enough for people to actually start using. Its biggest competitor, Facebook, has a good mobile app but it is slow and clunky compared to Google+ for Android. The features that make Google+ great are still here. Circles makes managing your friends and news feed a breeze. Circles also makes Google+'s privacy settings more transparent, as you can see specifically who you are sharing with. Hangouts and messenger are still here as well but have received some improvements. The new news feed has been completely redesigned with a more visual approach. Stories and status updates are presented with large pictures, and scrolling down the feed will trigger a slick falling animation for new stories. There is definitely an emphasis on pictures, with text being overlaid on top. You can still access your profile and pictures. If enabled, pictures can be automatically uploaded to Google+ but won't be shared unless you specify not to. This is great for backing up pictures automatically from your mobile. You can then go back to your photos and share them easily since they are already on Google's servers. Messenger is still a killer feature and has received an update where users can download photos in the message stream. 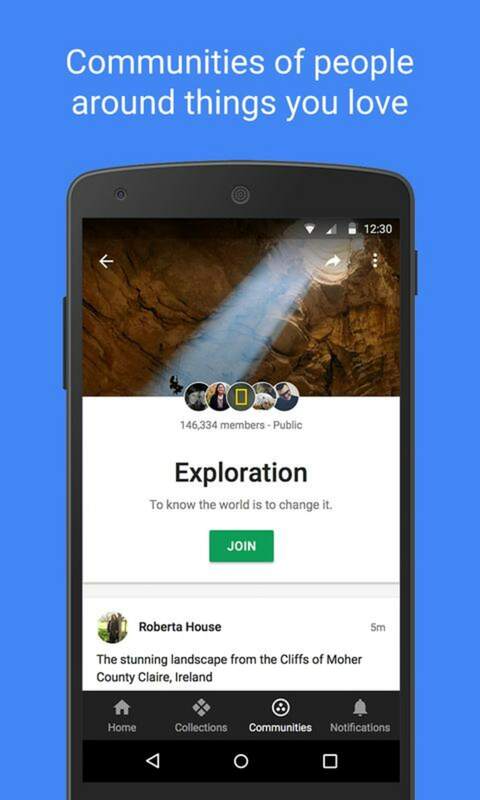 Messenger in Google+ makes group chatting a viable texting replacement, much like Facebook Messenger. 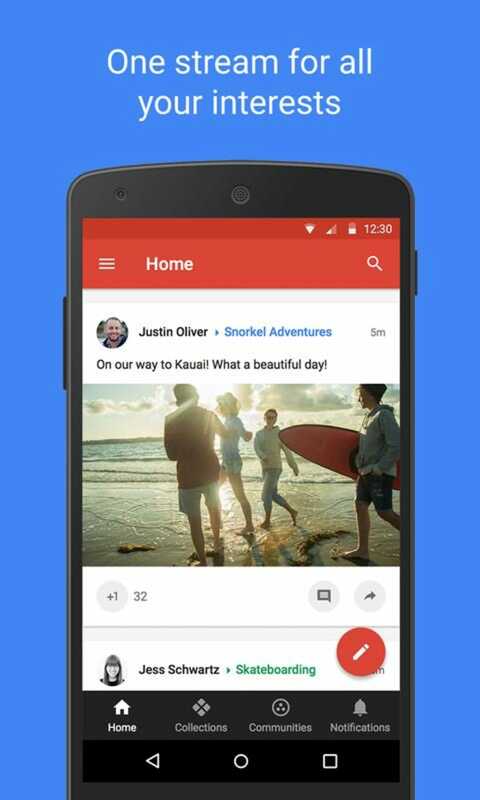 Another update to Google+ for Android is the ability to start a hangout from the app. In the past, users could only join hangouts. Adding people to a hangout is easy, and its video calling interface makes it a great alternative to Skype. Unfortunately, there is still no option to add silly face tracking animations like on the web version. 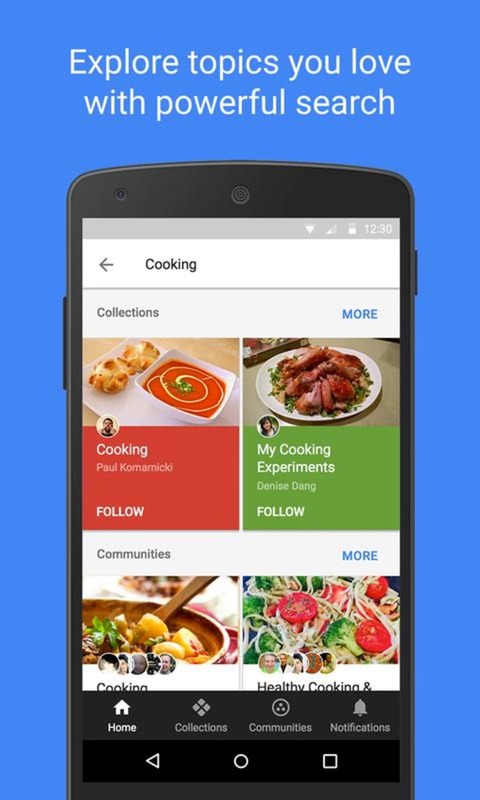 With this new update, Google has made Google+ for Android more than just a social network. 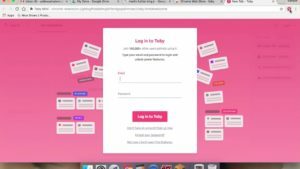 It serves as a way to consume news, message friends, video call and automatically back up your photos. Auto Backup, to safely and privately store your photos as you snap them Auto Highlight, to browse a selection of top shots from every set of photos you add Auto Enhance, to make subtle improvements to the people and places in your images, automatically Auto Awesome, to create fun new versions of your pictures (like animations and panoramas) based on the photos in your library Android update includes some of Snapseed’s award-winning photography tools A new “Locations” section in the Android app We introduced related hashtags Notifications are nicer to look at and easier to use And there’s one-tap access to the all new Hangouts app.